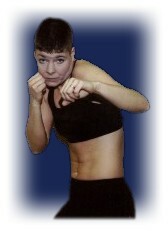 Comments: web site @ http://www.jeffcityboxing.com/lizdrew/ Looking to keep a busy schedule in late 2005 and 2006. Willing to go up to 140 depending on the opponent. Can travel with a week's notice, but may have conflicts in the summer due to the horse show circuit. Self-managed - contact by e-mail or phone.